The second of two galleries on the Northern Rockies. Nearly every Canadian photo in both Northern Rockies galleries came from a stretch of scenery about 120 miles long from Banff to Jasper along the spine of the Rockies and accessed by the Icefields Parkway. The weather magic continued on the northern end of our trip with great conditions at key stops including Peyto Lake, the hike at Waterfowl Lakes, both stops at Lake Louise, and Maligne Lake. I recommend viewing in slideshow mode to see the best detail and see the captions as you go. Thanks for visiting. 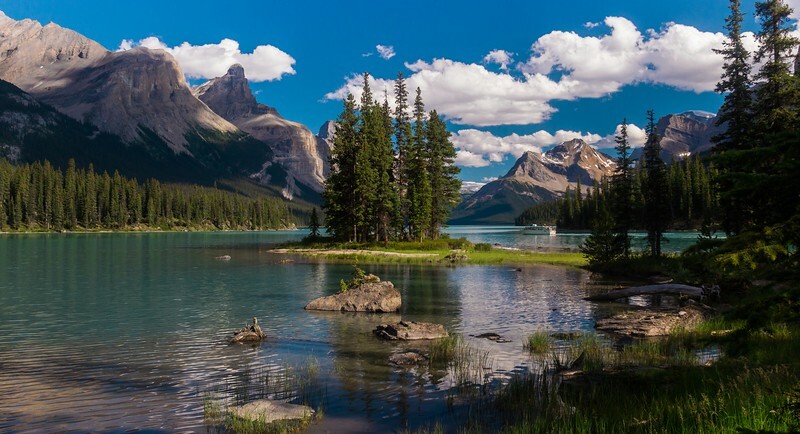 Spirit Island on Maligne Lake in Jasper Nat'l Park. To my eye it is a living poster.